We added this drain to the Highpoint Collection 19-inch White Rectangular Bathroom Vessel Sink also purchased on overstock. It work great and looks nice paired with the delta cassidy faucet. This Highpoint Collection drain is solid brass with chrome plated finish. 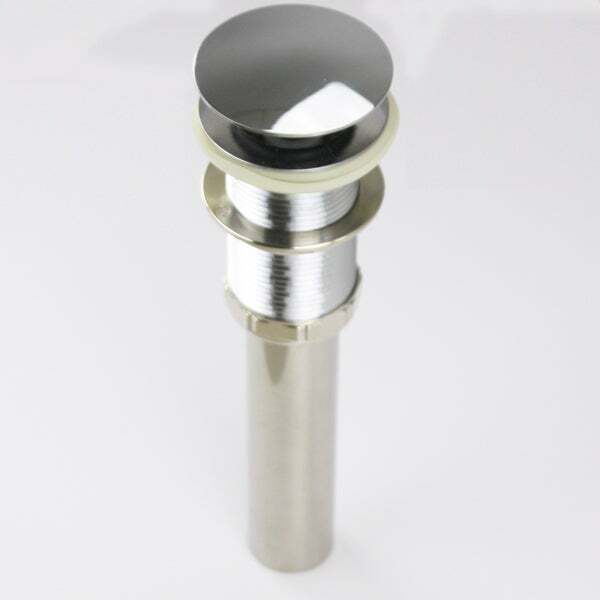 A classic umbrella drain, it is designed to work with bathroom sinks that do not have an overflow hole. The reliable solid brass construction and gleaming finish are perfect update or accompaniment to your vanity sink. Highpoint Collection is all about home -- kitchen and bath interiors designed to reflect your personality. Our collection gives you the cornerstone of great decor and impeccable style. Let Highpoint Collection create the well-appointed home you desire. Dimensions 11.0 In. X 8.0 In. X 5.0 In. What can you say about a drain? It works well in conjunction with the Highpoint Collection 15-inch Square Ceramic White Bathroom Vessel Sink. Very satisfied.